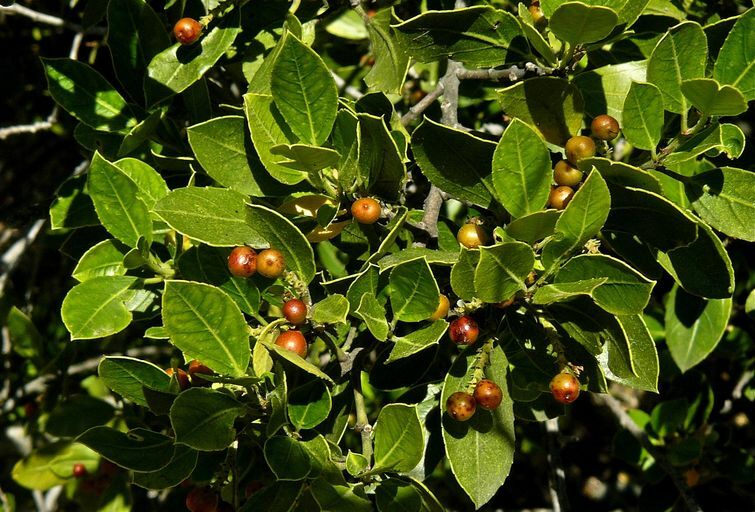 Rhamnus alaternus (Italian buckthorn) is a shrub (family Rhamnaceae) with tiny green to white flowers and oval-shaped leaves found in the San Francisco Bay area and central and south coast ranges of California. It is native to the Mediterranean. It favors scrub and chaparral, forests, and riparian and bottomland habitat. It spreads via seed and resprouts vigorously from the base after damage. Seeds are spread by fruit-eating birds and mammals, ants and in dumped garden waste.